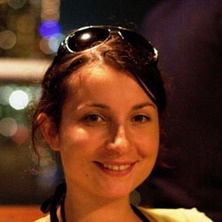 Aude is a DECRA Fellow at the Queensland Centre for Population Research at the University of Queensland. Her research focuses on understanding migration processes and their consequences for individuals, regions and nations particularly from a demographic perspective. Most of her work is comparative and has a strong methodological focus to allow robust comparisons over time and between countries, including Australia. Her recent methodological contributions include the development of innovative cohort measures of migration and their applications to 16 OECD countries and China. This work has shown, for the first time, that the age at first adult migration influences migration trajectories throughout adulthood. As an adjunct research fellow at the Asian Demographic Research Institute at Shanghai University, Aude works closely with migration scholars in Asia to advance understanding of migration behaviour in the region. She is currently co-editing a book on internal migration that brings together scholars from over 20 Asian countries. Aude was recently awarded the 2018 IPUMS International Award for her global assessment of the educational selectivity of migrants. She is the co-editor of the Journal of Population Research. Bernard, Aude, Forder, Peta, Kendig, Hal and Byles, Julie (2017) Residential mobility in Australia and the United States: a retrospective study. Australian Population Studies, 1 1: 41-54.